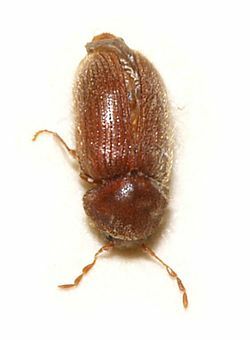 Relatively small bugs about 3/16-inch long 1/8-inch wide, broadly oval, flat, brown to reddish-brown. 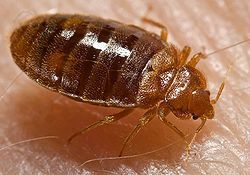 a tell tale sign of bed bug activity would be "blood spots". Carpenter Ants enter buildings to nest or forage. They don't eat wood ( Like Termites ) but excavate their nest in wood, creating smooth tunnels and galleries. 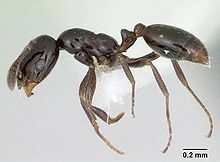 In temperate regions, Pharaoh Ants nest indoors. In houses they are frequently found in kitchens and bathrooms near a source of water. They are yellowish or light brown to reddish. 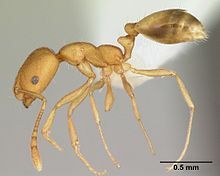 This ant is common in wooded habitats. 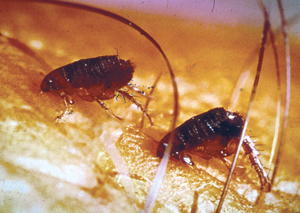 Most infestations originate from outdoors. Much larger than the Yellow Jacket with a reddish Head. 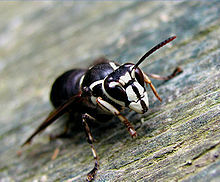 A large black hornet with white markings. 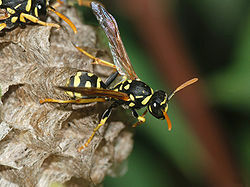 Nest are usually in trees, shrubs, or attached to structures. 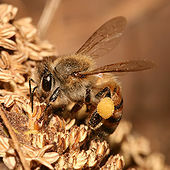 This is a social insect living in large colonies ranging from 20,000 - 80,000 bees.The Honey Bee is the most important beneficial insect in agriculture due to its role as a pollinator. Swarms can sometimes be seen in the spring attached to a tree or structure. 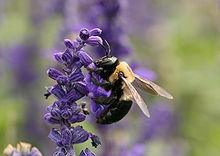 This bee we do not like to eliminate and a bee keeper is always our first choice. The cockroach, regardless of species, is built for survival. The German Cockroach likes to live with us. They are found primarily in kitchens, bathrooms or other ares where daily access to water is available. 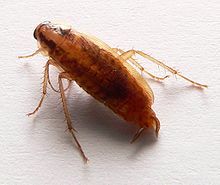 This cockroach is attracted to warmth and is generally thought unable to survive outside of human structures. 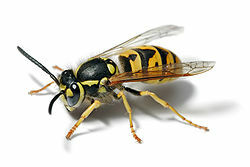 This bee will burrow into the exposed dry wood of buildings, decks, telephone poles, fence posts and even wooden bridges.They chew a almost perfect 1/2-inch hole that can extend upto a 12-inch gallery. 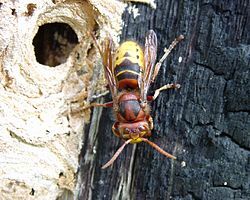 This bee usually will nest in the ground, but they have also been known to nest in wall voids, soffits of attics and firewood piles. 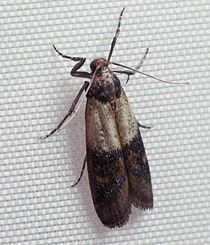 The Indianmeal Moth is the most common food-infesting moth found in homes, grocery stores, warehouses and distribution centers. They feed on grain and grain products, dried fruits, seeds, graham crackers, nuts, powdered milk, chocolate, candies, etc..., even bird seed and dog food. The drugstore beetle, also known as the " Biscuit Beetle " is a common pest of the home and storehouse . It feeds on bread, flour, breakfest foods, spices, pet foods, and wheat. Fleas are small, wingless blood-sucking ectoparasite. Adult Fleas feed only on blood of warm-blooded hosts. Fleas are the most common ectoparasite found on cats, dogs, and turn up as household pests. Under ideal conditions the Flea can complete its life cycle in as little as two weeks. Termites are often confused with ants, especially the Carpenter Ant. If you are unsure of the difference a pest control expert should be called in. 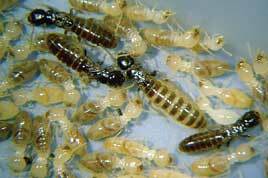 Termites consume a wide assortment of foods. The main nutritional ingredient in all of these is cellulose, the hard, structural component of wood and other plant tissues.